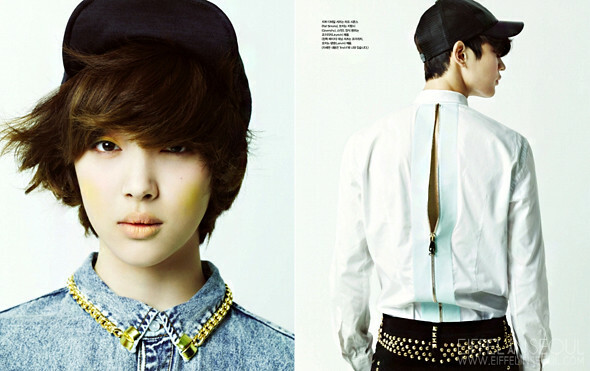 Ahead of their upcoming drama, 'To The Beautiful You (아름다운 그대에게)', Sulli (설리) from f(x) and Minho (민호) from SHINee came together for Vogue Girl August 2012 issue. Photographed by Zoo Yong Gyun, the duo wore garments from Alexander Wang, Balenciaga, Burberry Prorsum, Givenchy, H&M, Joyrich, Lanvin, Raf Simmons and more. 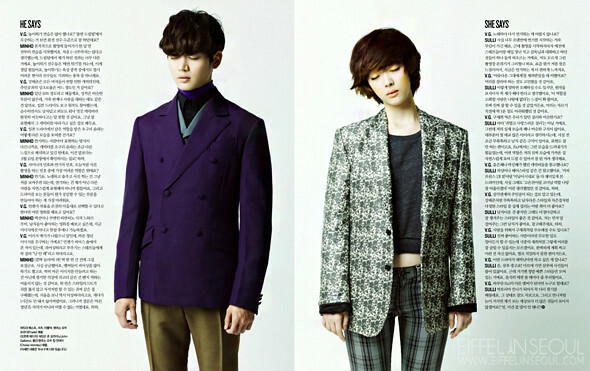 To The Beautiful You (아름다운 그대에게) airs every Wednesday and Thursday on SBS.